Portrait of a Killer by Patricia Cornwell. Jack the Ripper was renowned artist Walter Sickert (1860-1942) according to Cornwell, in case anyone hasn't yet heard. The evidence Cornwell accumulates toward that conclusion in this brilliant, personal, gripping book is very strong, and will persuade many. In May 2001, Cornwell took a tour of Scotland Yard that interested her in the Ripper case, and in Sickert as a suspect. A look at Sickert's "violent" paintings sealed her interest, and she became determined to apply, for the first time ever, modern investigatory and forensic techniques to the crimes that horrified London more than 100 years ago. The book's narrative is complex, as Cornwell details her emotional involvement in the case; re-creates life in Victorian times, particularly in the late 1880s, and especially the cruel existence of the London poor; offers expertly observed scenarios of how, based on the evidence, the killings occurred and the subsequent investigations were conducted; explains what was found by the team of experts she hired; and gives a psycho-biography of Sickert. The book is filled with newsworthy revelations, including the successful use of DNA analysis to establish a link between an envelope mailed by the Ripper and two envelopes used by Sickert. There are also powerful comparisons made between Sickert's drawing style and that of the Ripper; between words and turns of phrases used by both men; and much other circumstantial evidence. Also newsworthy is Cornwell's conclusion that Sickert continued to kill long after the Ripper supposedly lay down his blade, reaping dozens of victims over his long life. Compassionate, intense, superbly argued, fluidly written and impossible to put down, this is the finest and most important true-crime book to date of the 21st century. I did it! I did it! I finished the book before RIP ended!! woohooo! 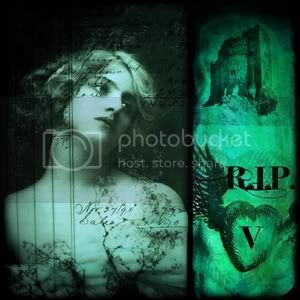 I have to say that over the many years of my life (back when the earth was young) I do remember hearing "stories" about Jack the Ripper and more then likely I've seen a documentary and or/ movie about Jack the Ripper, but I can't honestly say I remember much, other than he gruesomely murdered many prostitutes. Cornwell really did her homework for this book and presents a good case against Sickert. Along the way she lets you know just how London was in the lat 1800's and how little the police could do to find their murderer. We do tend to forget that DNA is "new" and forensics on the whole is fairly new.. at least they didn't have it back then. Unless there was an eye witness or a murderer was caught in the act, there was little ways of finding them. It didn't help that the police not only received letters from the Ripper but from many others pretending to be the Ripper.. after a while they didn't know what was real and what was not. I didn't think I could read a book with the very descriptive words on just how mutilated a body was when the Ripper was done with them but I did find it bearable in that it was "factual".. but again, if one has a queezy stomach, this book might not be for them. 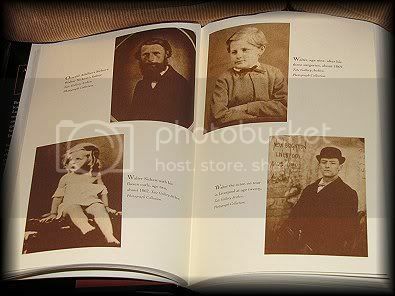 I did find the book very factual and very interesting. However I think that is because I went into it feeling like I knew nothing except that Jack the Ripper was a horrendous murderer. I did feel as if I was in London of old and felt as if I was among the "low class" hookers and how they had to survive. I found it pretty sad actually. If Sickert is actually the Ripper it seems unfair he was never caught and punished, although I will say he didn't have a happy life. Once again I say I did enjoy this book.. and all the historical history that surrounds it. The author’s first novel, The Meaning of Night (2006), set in London in 1854, was told from the viewpoint of a scholar turned murderer, but this sequel, set some 20 years later, is narrated by an innocent, 19-year-old Esperanza Gorst. Orphaned as a child, she has been raised in relative luxury in Paris by her guardian and given an excellent education by her tutor. However, her world is upended when they inform her that she is to leave for England in two months, where she will be employed as a lady’s maid by the widowed Baroness Tansor on the vast estate of Evenwood. It is to be the first step in what they call the Great Task, but Esperanza’s ultimate goal will only be revealed to her in phases. Although she appears far too refined for her occupation, Esperanza is immediately embraced by the family, but Lady Tansor proves to be a difficult employer, given to hysterics due to her tragic past—the love of her life, the pretentious poet Phoebus Daunt, was murdered by an old friend. Cox so cleverly incorporates the plot of his first novel that his new one can be read by both those who are familiar with The Meaning of Night and those who have never read it. Great period atmosphere, a cunning plot, and an intelligent narrator make this one a special treat for those who like some history with their mystery. Ahhhh, once again I am savoring the the feel of the satin pages of a Michael Cox book! I can honestly say that his story telling is well worth the fine paper the publishers gifted him with. But, I am saddened beyond words that he is gone and I can no longer look forward to these excellent novels of his. This book picks up about 20 yrs after the first book, The Meaning of Night with a girl named Esperanza Gorst, who is an orphan raised by a guardian. My first mistake was not even recognizing her initials E.G. (which would mean something to anyone reading both of Cox's books) After that I "thought" I figured out what was going on, and to a point I did. But Cox handled his book like one of the masters and let you surmise some things, and kept some surprises for later. I very much enjoyed reading Cox's first book,The Meaning of Night... and I can tell you unequivocally, the sequel is even better! Although there are secrets galore to try and figure out, you get the feeling that you are ahead of the author, and know all the secrets by the time you are half way thru the book. I have a surprise for you.. you will NOT know ALL the secrets until the end of the book! As the man said just before getting hit by the train, "I never saw it coming!" Michael Cox sure held back some surprises for the ending of The Glass of Time!! If I put the two books together I can say that they have been my favorites of my reading for RIP! I will keep these books and reread them one day. There were even small things throughout the book that I just loved, like the fact that Alice, more than once, shows to be a fan of Wilke Collins. :o) It's an enjoyable thing to read books when familiar names come up. Both of Michael Cox's books were excellent and if you like to unravel secrets along with a murder now and then I think you would really enjoy his books. This is probably my final book for RIP, although I will begin another such book... I just doubt I will finish another rather large book before RIP is over. So thank you Carl for yet another splendid challenge! Starred Review. Waters (The Night Watch) reflects on the collapse of the British class system after WWII in a stunning haunted house tale whose ghosts are as horrifying as any in Shirley Jackson's The Haunting of Hill House. Doctor Faraday, a lonely bachelor, first visited Hundreds Hall, where his mother once worked as a parlor maid, at age 10 in 1919. When Faraday returns 30 years later to treat a servant, he becomes obsessed with Hundreds's elegant owner, Mrs. Ayres; her 24-year-old son, Roderick, an RAF airman wounded during the war who now oversees the family farm; and her slightly older daughter, Caroline, considered a natural spinster by the locals, for whom the doctor develops a particular fondness. Supernatural trouble kicks in after Caroline's mild-mannered black Lab, Gyp, attacks a visiting child. A damaging fire, a suicide and worse follow. Faraday, one of literature's more unreliable narrators, carries the reader swiftly along to the devastating conclusion. The first book I opened after The Meaning of Night was The Magicians and Mrs Quent... gone were the satin pages... gone was the crisp type and double spacing sentences. My hands felt paper similar to newspaper and the words seemed so close to each other I felt I wasn't reading each word.. so I set it aside for another time because I know I want to read that book, but as things happen when you leave an enjoyable book..the "next book" isn't easily found. But find it I did! 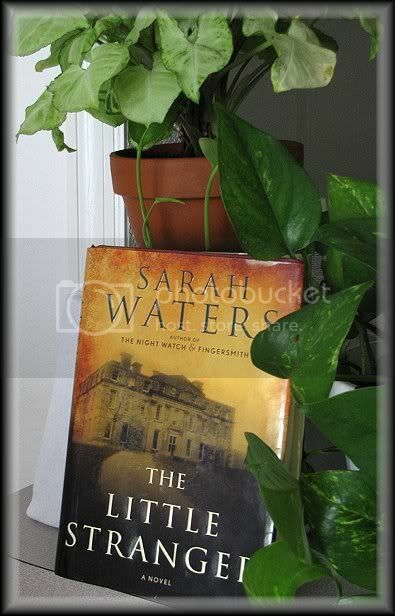 This time it was The Little Stranger by Sarah Waters. No, it did not have those satin pages but the print was much easier to read and it drew me right into the story. I am finding that most of the "gothic style" books all seem to walk at their own pace, neither fast nor so slow you don't pick them up again. The book had quite a good story to tell, however, I found myself wondering if all the things that occur in that house are "ghostly". Often I found myself waiting for someone to be uncovered as the culprit. I thought it was not quite defined as "a ghost"...either that or..it really sounded much more like a person was doing the things on purpose... so I found myself always "waiting" for the discovery. But, like I said, it was still very enjoyable... I can always tell by the fact that I seem to read over 500 pages more quickly then some shorter books! The book left me with one question in mind: who..is.. "you"? You can guess..but one never really knows. For those who have read Sarah Waters, Fingerpost, I think they will also enjoy The Little Stranger. In fact, I'd be surprised if they didn't ! 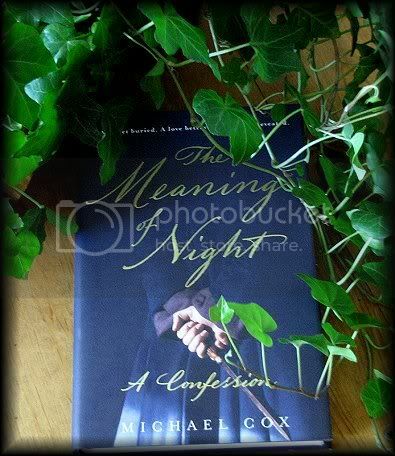 The Meaning of Night by Michael Cox. Starred Review. Resonant with echoes of Wilkie Collins and Charles Dickens, Cox's richly imagined thriller features an unreliable narrator, Edward Glyver, who opens his chilling "confession" with a cold-blooded account of an anonymous murder that he commits one night on the streets of 1854 London. That killing is mere training for his planned assassination of Phoebus Daunt, an acquaintance Glyver blames for virtually every downturn in his life. Glyver feels Daunt's insidious influence in everything from his humiliating expulsion from school to his dismal career as a law firm factotum. The narrative ultimately centers on the monomaniacal Glyver's discovery of a usurped inheritance that should have been his birthright, the byzantine particulars of which are drawing him into a final, fatal confrontation with Daunt. Cox's tale abounds with startling surprises that are made credible by its scrupulously researched background and details of everyday Victorian life. Its exemplary blend of intrigue, history and romance mark a stand-out literary debut. I didn't know if this would be a good read or not but when I opened the book I felt the pages.. they were satin soft. I couldn't help but run my hand over pages as I read thru this book.. even the feel of it was outstanding. In the beginning I thought it was a little slow, and wondered if I had made a mistake picking it up to read, but still ..it maintained my interest. As I read on, thru the 700 (or so) pages, it slowly grew and became better and better the more I read. Yes, indeed this was growing into a good book! I most liked that it began with the murder and then went back to tell the story of how Edward got to the point of where he was, and then in the final chapters tells you what happens "after" the murder. "After I murdered the red-haired man, I took myself out to Quinn's for an oyster supper." What sort of person murders someone and then goes out to eat?! I don't think I like this person!.. but .. as the story goes on you do grow to like him... or maybe it's that you understand him. I rarely recommend a book but if you enjoy Mysteries, and indeed this book is much more filled with mysteries than it is with Murder, and you enjoy books that place you in "old England".. then I think you will enjoy this book . I certainly must have enjoyed it as the pages just flew by! I liked the book and I liked the author for his very fine writing.. 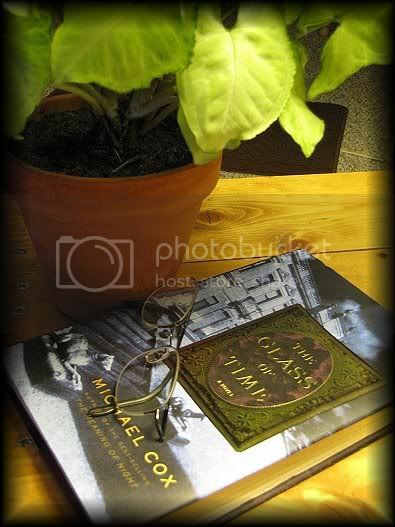 I have already sent for another book,The Glass of Time, by Michael Cox. This is my 4th book for RIP. Starred Review. British author Pears matches the brilliance of his best selling An Instance of the Fingerpost (1998) with this intricate historical novel, which centers on the death of a wealthy financier. In part one, after John Stone falls to his death from a window in his London mansion in 1909, Stone's seductive, much younger widow, Elizabeth, hires Matthew Braddock, who works as a journalist, to trace a child of her late husband's she never knew existed until the child is named in his will. Braddock, a novice in the world of finance, uncovers evidence that Stone's actual net worth was far less than commonly believed, even as he finds himself falling for his client. In part two, set in 1890 Paris, Henry Cort, a shadowy spy, provides another perspective on the bewitching Elizabeth. Stone's own reminiscences from his time in Venice in 1867 cast further light on the circumstances of his demise. The pages will fly by for most readers, who will lose themselves in the clear prose and compelling plot. As the Amazon review states.. this book is written in 3 parts. Again I find Mr Pears writing in a similar manner as Wilke Collins, seeing the same Mystery by 3 different people. Part one was not bad.. a little too much "money" talk, but over all quite interesting. Part two had me bored somewhat. A lot of how money rules the world one might say. Part three.. makes up for any downfalls of parts one and two! I guess I should have guessed the ending of part three but I didn't and found myself laughing at the result. Not that it's funny... it isn't! But I laughed at me for not figuring it out. To be honest parts one and two weren't really that bad... the subject matter didn't hold my interest a lot (money and how the banks rule), but I'm sure others will feel differently. 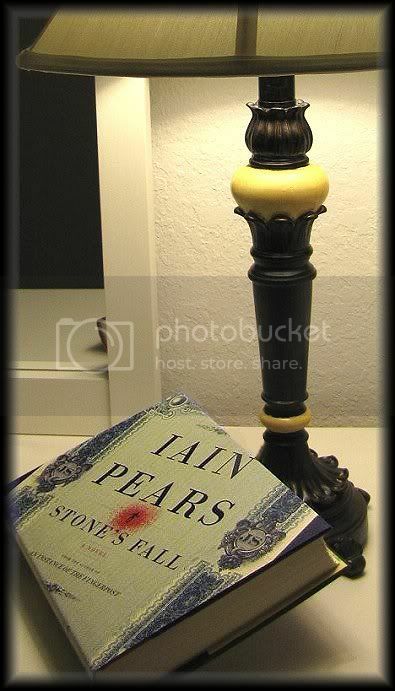 This is my second Iain Pears book, the first being A Instance of the Fingerpost, which was another good read. I think I am liking these mysteries that are written in the style of Wilke Collins..except for the fact that they also seem to want to beat him in how long the books are! lol.. I hope the next books catches my interest .. it's another big one at 687 pages! gah!